Dwindling revenues from Vehicle Excise Duty and fuel duty due to ultra-low emission vehicle take-up will create problems for the funding of roads, particularly with commitments to the national road network. That’s according to a new report from the Association for Consultancy and Engineering (ACE), which also urges the Government to look at dynamic road pricing in the longer term following four decades of under-investment in roads that “has resulted in a road network in significant need of improvements”. Highlighting how the UK Government expects congestion to increase 63% by 2030, the report welcomed the VED-funded National Road Fund, as announced in 2015 by former chancellor George Osborne and back in the headlines more recently with the news that councils could also get a share of the funding. 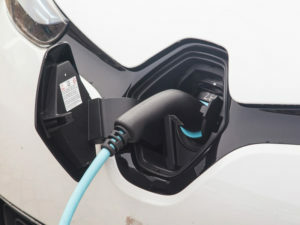 However, the report said the growing uptake of zero-emission vehicles meant revenue from Vehicle Excise Duty and Fuel Duty would continue to decline as a percentage of the UK’s GDP in the future, impacting on the revenue raised for the fund. In response, the report’s authors say the Government must introduce reforms to Vehicle Excise Duty and Heavy Goods Vehicle (HGV) Road User Levy to ensure these taxes raise sufficient revenue for the National Roads Fund from 2020-21. The report adds that while revenue from VED is expected to rise slightly over the next five years in the UK from £6.0bn in 2017-18 to £6.8bnin 2022-23, the current structure of VED and the inevitable uptake of zero-emission vehicles in the future will see revenue from VED decline as a result, in particular due to government plans to stop sales of conventional petrols and diesels from 2040. The report also says that fuel duty will be hit by the 2040 plans and urged the Government to start looking at alternate revenue sources from the use of vehicles in a post-Fuel Duty world. It also said called for the establishment of a Local Roads Fund, ringfenced through a proportion of revenue from fuel duty. And the report calls for other measures, including a significant increase in the investment in the smart motorways programme, “given the programme’s recent success at reducing congestion and making roads safer”, as well as running a study on increasing private investment in the road network.